Today was originally set to be the day Britain left the EU. Instead, uncertainty regarding how the process could unfold continues to grip Pound Sterling to Euro (GBP/EUR) exchange rate investors and the Pound (GBP) remains weak. 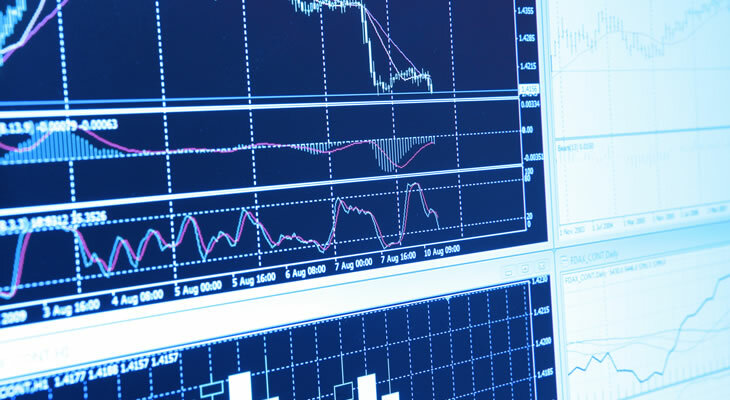 After opening this week at the level of 1.1689, GBP/EUR spent the first half of the week edging higher and the pair even tested a fresh 2019 high of 1.1782 on Wednesday. Since then though, GBP/EUR has tumbled as fresh Brexit uncertainty builds and knocks the Pound from its highs. At the time of writing on Friday morning, GBP/EUR was trending near its worst levels all week – at around 1.1605. Amid market uncertainty ahead of the government’s latest attempt to push its unpopular Brexit plan through Parliament, the Pound was marred by uncertainties over the future of Brexit and the future of Britain’s government. While the Pound recently touched its best levels in over a year versus the Euro (EUR), the British currency’s potential for future gains is limited as the Brexit process continues to throw up more questions than answers. The government’s Brexit plan is unlikely to succeed due to strong opposition to the deal from Northern Ireland’s DUP Party (which typically supports the government) and the opposition Labour Party. As a result, the future of Brexit is uncertain, with some speculating that a no-deal Brexit on the 12th of April is still a high possibility, while others speculate a longer Brexit delay is likely and could lead to a softer Brexit. Sterling has been unable to benefit much from soft Brexit hopes though, due to concerns that UK Prime Minister Theresa May could step down or that there could be a general election. Uncertainty over the direction of the Brexit process and the government itself is dominating the highly uncertain Pound outlook, so Sterling was only slightly boosted by today’s better-than-expected UK ecostats. For most of the week, the Euro has been unappealing due to a lack of strong Eurozone data. Most of the week’s ecostats have continued to indicate that the Eurozone’s economic activity is still being hit harder than expected from the global economic slowdown. Notably, Eurozone economic confidence figures largely printed below expectations, keeping investors anxious about the health of the bloc’s economy and limiting the Euro’s potential gains versus a weak Pound. The Euro did find a little additional support at the end of the week though, as Friday’s Eurozone data was relatively solid. Germany’s key February retail sales results unexpectedly surged, slowing to just 0.9% month-on-month rather than the predicted -0.9%. The yearly figure unexpectedly surged to 4.7% rather than slowing to 2.8% as expected. Germany’s March unemployment data was also fairly solid, improving to 4.9% as expected. France’s latest inflation data was a little underwhelming though, which dampened the Euro’s late-week appeal. The government hopes to hold a vote on the Withdrawal Agreement of its Brexit plan in Parliament today, in hopes that this time the deal will pass and secure that Brexit happens in the coming months. However, analysts believe the deal still lacks support from major areas that it would need to pass, and if it fails this time it may not ever come back. If the UK government’s Brexit plan is able to pass, it would mean that a soft Brexit is confirmed and a no-deal Brexit will not happen – but it also means Prime Minister Theresa May will step down, leading to fresh political uncertainty. In the event that the deal is blocked, no-deal Brexit fears will persist and the UK will look to Monday’s next round of ‘indicative votes’, as well as if the Brexit process could see a longer extension from the EU. With UK politics and Brexit ever a focus, Sterling is likely to drive GBP/EUR movement but the Euro could also influence the pair if upcoming Eurozone data surprises investors. Monday will see the publication of Markit’s final March PMIs for the Eurozone. As manufacturing disappointed in the projections, some stronger than expected Eurozone manufacturing stats could drag the Pound to Euro (GBP/EUR) exchange rate lower.